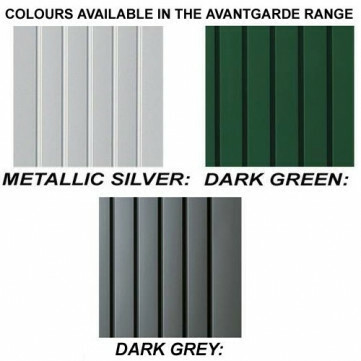 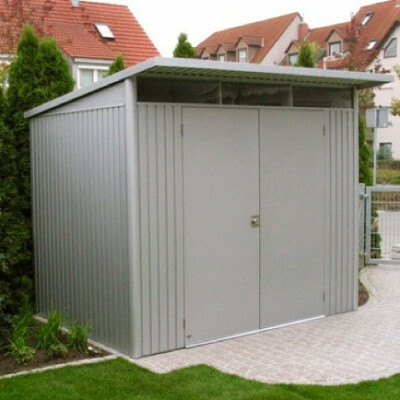 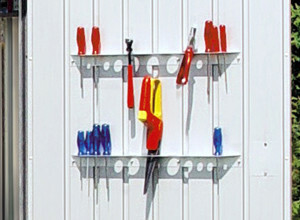 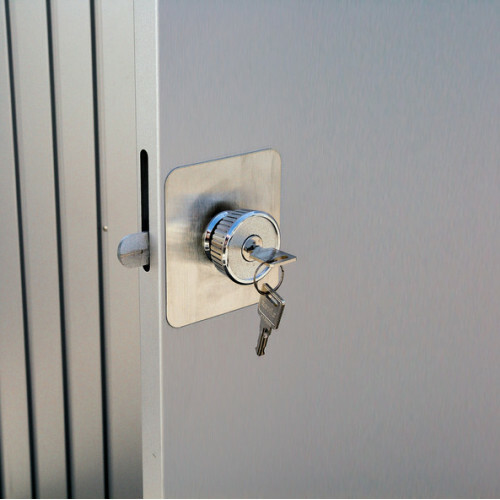 A top quality Hand pressed steel product combining security, style and value. This is a heavy duty hot-dipped galvanised steel building, manufactured from 0.5mm steel and features an acrylic glass fanlight with roof overhang, a high roof snow load capacity of 150kg/m², maintenance free and comes with a 20 year non-perforation manufacturer's warranty. 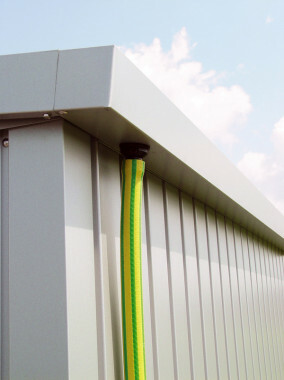 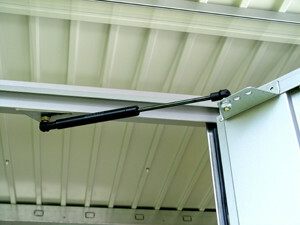 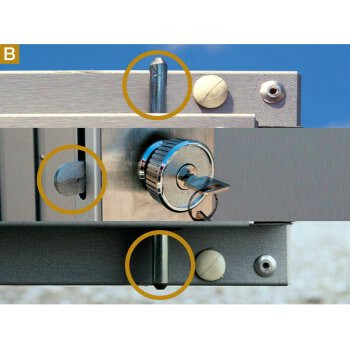 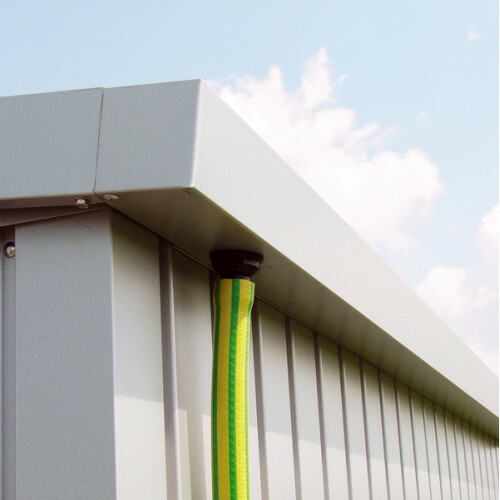 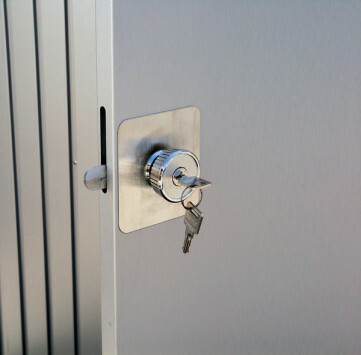 The door has a 3 way security cylinder locking system and a gas-spring damper to assist when opening and closing.